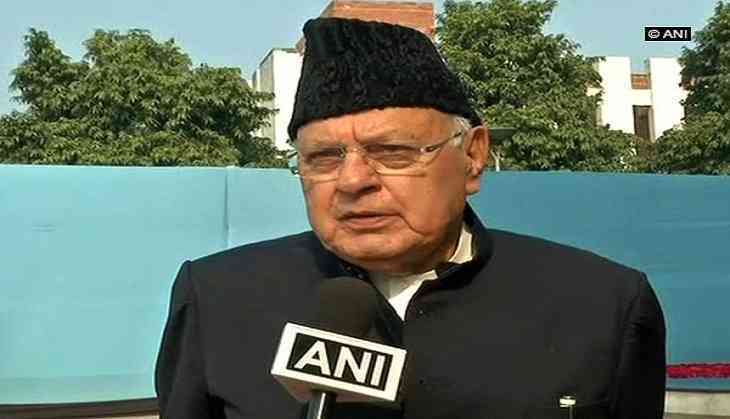 Former Jammu and Kashmir chief minister Farooq Abdullah on Sunday appealed to India and Pakistan to find out a way to restore peace in the state. He urged the Government of India and Pakistan's Prime Minister Shahid Khaqan Abbasi to restore peace in Jammu and Kashmir. Talking to the media, Abdullah said, "Unless they find a way out, the people on both sides will suffer and many of our soldiers will also die. I think the Government of India must find a way forward. I will say the same to Pakistan's Prime Minister. Time has come when this bloodshed must stop and peace must be restored." On February 18, Jammu and Kashmir Chief Minister Mehbooba Mufti had said that India and Pakistan should talk to each other and mutually solve the Kashmir issue. India and Pakistan have fought several wars, precisely three, over Jammu and Kashmir, which is claimed by both the countries.